The project for reconstructing and relocating the school building to a more suitable and student-friendly area. Japan's ODA-GGP fund used to fund only the construction of the first floor of one of the school buildings. 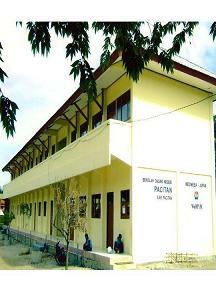 The remaining funding administered by the government of Pacitan District. The project was handled by Community Participation Empowerment Association with the aim of providing the students with a more conducive learning environment.